Our first big lap around Australia was rapidly coming to an end, but we had one final destination planned – one that had been on my bucket list for 49 years. I had lived in Adelaide in 1964, the year The Beatles came to town, and it was here that I formed a lifelong friendship with my mate, Tony, whose family owned a holiday house on Kangaroo Island. So, after talking about it for all those years, it was finally going to happen. We drove down the picturesque Fleurieu Peninsula in the early hours of the morning, past rolling hills and pastures through Normanville to Cape Jervis where we boarded the SeaLink vehicle and passenger ferry service for a comfortable 45-minute crossing. We were told it can get quite uncomfortable at times and we immediately remembered our experience heading to Tasmania early in our travels. But on this occasion it was a calm and sunny passage to Penneshaw. Given the short distance it was an expensive journey. There’s no government subsidy as there is on the Tasmanian equivalent. We know this has deterred many motorhomers to whom we have spoken. The first thing that hits you is the size of the island: roughly 160 kilometres long and 60km wide with around 1600km of roads. Between the major townships most are sealed but there are also a lot of unsealed surfaces that require your full attention to traverse safely. Our base for the weekend was to be the small fishing hamlet of American River, a short, 30-minute drive from Penneshaw. There is actually no connection to a river for the settlement, it’s positioned on the waters of Eastern Cove. The US derivation is thought to be from a group of American sealers who spent a few months in the area in 1803 while they replaced their own vessel with a new one constructed from local timber. Matthew Flinders (and his crew) was the first known European visitor in 1802 but it would be around 40 years before actual settlement took hold. Back to our more recent visit. In pretty quick time we had the vehicles unpacked before Tony and I headed off with cameras in hand to explore this bird-watching paradise. It wasn’t long before we snapped our first pelicans as they escorted local fishermen on their return to harbour. In flight, they presented amazingly streamlined and graceful creatures. With only a couple of days at our disposal, we rose early the next morning to the sounds of local wildlife. We headed to the picturesque and trendy Kingscote for supplies and to visit many of the varied art, craft and coffee shops. Established in 1836 Kingscote was the first settlement in South Australia and is now the main hub for Kangaroo Island life as its largest town. You can pay a visit to the colony of little penguins that have their home among the cliffs nearby, with tours conducted each evening on dusk. It was then a short drive to the nearby Island Beehive – reputed to have the purest strain of fascinating Ligurian bees remaining in the world. The industrious bees were imported in 1880 with the island declared a sanctuary in 1885 – no bees have been imported since then. Our first major attraction for the day was the Emu Bay Lavender property, one of two on the island. This site provided great photographic opportunities as we wandered through the beautiful flowering lavender beds. After examining the variety of crafts and gifts we concluded our visit with a luxurious lavender ice cream taste-fest. Back on the road, Tony’s next destination was another photographic treat. Located in the south west of the island Remarkable Rocks were exactly that; remarkable. Accessed by a boardwalk and (on our visit) framed by a magnificent blue sky and carpeting green flora these windswept sculptures had us clambering like young kids – which we no longer are – for the best shot. In close proximity was Cape du Couedic which again provided spectacular boardwalk views of this amazing coastline, complete with lighthouse, Admirals Arch and surfing seals. We marvelled at the stunning blue sky serving as background to the giant crashing seas. Tony said he had never seen such a dramatic combination of the elements. We felt truly blessed. Our final location for the day was the Kelly Hill Cave site in the conservation park of the same name. Having visited just about every commercial cave site in Tasmania, Brigitte was not about to miss this opportunity. And she wasn’t disappointed. The caves extend about nine kilometres and have been formed in a unique fashion; quite different to others we had visited. 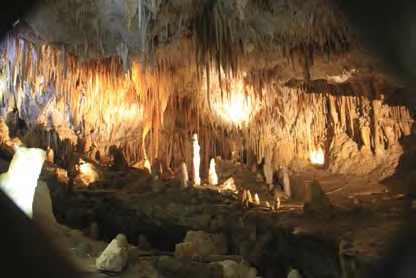 The caves have a fascinating story behind them, too. In 1880, stray sheep caused a stockman named Kelsy and his horse Kelly to pursue the wayward animals during which the pair tumbled into a sink hole. Managing to extricate himself, Kelsy went for help to retrieve the horse. Upon return the horse was gone. Depending on which version takes your fancy there are three conclusions given in local folklore as to Kelly’s fate: the horse was pulled to safety; there was no trace of the animal because the rescuers returned to the wrong sink hole, or that the animal had wandered into the labyrinth its remains to one day be discovered. Regardless, the caves themselves were officially discovered in 1925 by Harold Bell, a local who became their caretaker and conducted candlelight tours a year later. It’s more befitting that the name Kelly was given to the caves, don’t you think? For our final day we headed in an entirely different direction. We were searching for a ‘good drop’ and to achieve this we headed to the Dudley Peninsula on the east of the island. Once off the main road, we were on well-maintained dirt roads for the rest of the day. Once again, it was a glorious day and we savoured the hospitality, stunning views, produce and crafts from all four wineries in this region: Dudley Wines, False Cape Wines, Sunset Winery and the ‘eccentric’ Chapman River Cellar Door, complete with landing strip. We can happily report the wines from all locations were highly acceptable. We will be back. Our final destination, where we could explore the local history and once again appreciate the stunning coastline was the Cape Willoughby Lighthouse; definitely well worth the drive. 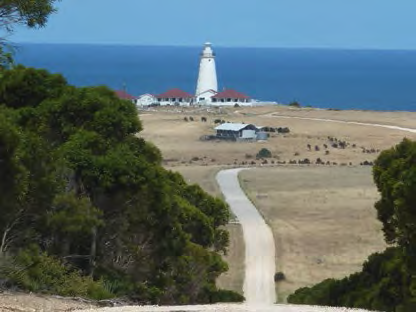 The lighthouse was the first to be built in South Australia (in 1852) and made safer the passage between Kangaroo Island and the mainland that is known as Backstairs Passage. Unfortunately, we were running out of Sunday, but not before fitting in a last leisurely stroll through American River to capture another round of photographic memories. As we boarded our return vessel the next morning, we looked back from the ship, taking in the vista and vowed not to wait another 49 years to replicate our experiences on KI. Kangaroo Island is truly an exceptional location and one that should definitely be added to your Australian travel itinerary. National parks, wildlife and stunning views abound and your days are easily filled. 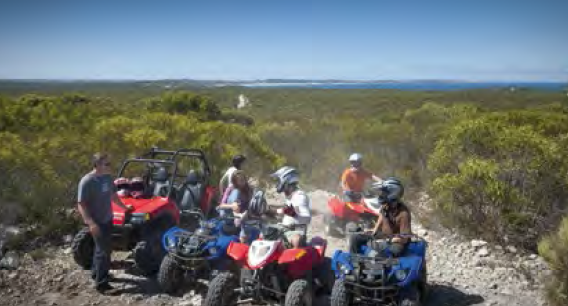 Kangaroo Island’s remoteness has created a special environment. Many of Australia’s pests and diseases are not present and the introduction of just one new pest or disease could have devastating consequences. Honey products and bee-handling equipment may not be brought onto the island. Any potatoes brought to the island must be in new packaging. Peels and unused potatoes must be disposed of to ensure that re-germination is not possible. Grape phylloxera is an insect that feeds on the roots of grapevines. To keep Kangaroo Island phylloxera-free, vine cuttings and soil in which grapevines have grown are not to be brought onto the island without prior inspection and approval. The risk of invasive weed introduction can be reduced by ensuring that vehicles, caravans, trailers, camping gear, hiking boots, etc. are free of mud and weed seeds prior to travelling. Protect fishing and aquaculture industries from aquatic pests by cleaning your boats and all associated gear prior to coming to the island. Significant penalties apply for infringements. For further information, contact the Kangaroo Island Natural Resources Management Board on 08 8553 4300. American River, Browns Beach, Emu Bay, Vivonne Bay and Western River Cove. Self-register, cannot be pre-booked and operate on a first-in, firstserved basis. Stokes Bay (self register). Flinders Chase NP, Rocky River, West Bay, Snake Lagoon and Harvey’s Return require bookings, 08 8553 4490. Cape Gantheaume and Lashmar conservation parks, Murray Lagoon, D’Estrees Bay and Antechamber Bay. Self-register, cannot be prebooked. First-in, first-served basis.